Data Source: Centers for Disease Control and Prevention (CDC). 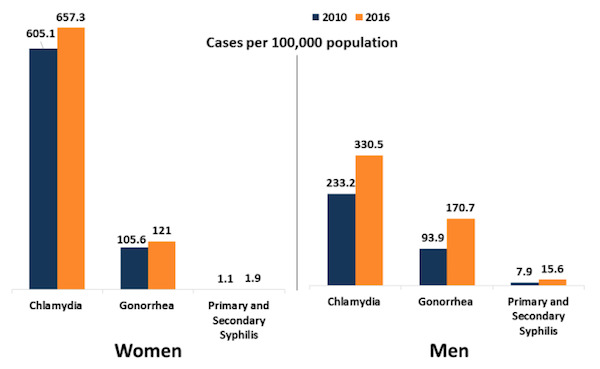 Sexually Transmitted Disease Surveillance 2016. This entry was posted in Medicine and Society Data Watch on November 29, 2017 by Genevra Pittman.